Picnic season is upon us and if you’re anything like us, you say you’re going to picnic just about every weekend while the weather is warm and then the end of summer arrives and you can count your picnic outings on one hand; and two of them were at your local park. But this summer will be different, right? You’ll be visiting your local gourmet deli every other weekend, stocking up on all the cheese that your picnic basket can handle, before setting out on the most lavish picnic ever, right? Right. 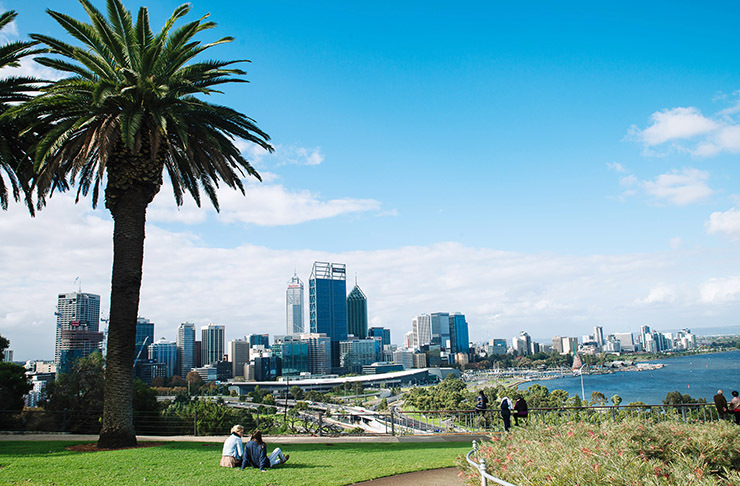 To help you out, we’re setting you a challenge to visit all 10 of the best picnic spots in Perth before summer is through. How many can you knock off? Let’s be real, you can picnic just about anywhere in King’s Park and it’ll be great. But for your info, the Pines Picnic Area, Synergy Parkland, the Lotterywest Family Area and the Saw Avenue Picnic Area also have BBQs so you can cook yourself a little feast if your picnic hamper isn’t enough to satisfy you. Check out this handy map for all the details. Just west of the Avon Valley, Walyunga National Park covers 1800 hectares of the Darling Range and it’s bloody beautiful, so if you can’t find somewhere to picnic in here we don’t know what to tell you. Make your way to Walyunga Pool, Boongarup Pool or Syd’s Rapids to enjoy your picnic by the water, then go for a wander and try to spot some wildlife. Just outside of Kings Park off Mounts Bay Road, John Oldham Park is one of Perth's best-kept secrets with a beautiful waterfall, BBQ facilities and a few little walking trails so you can go for a very peaceful stroll after you finish your feast. 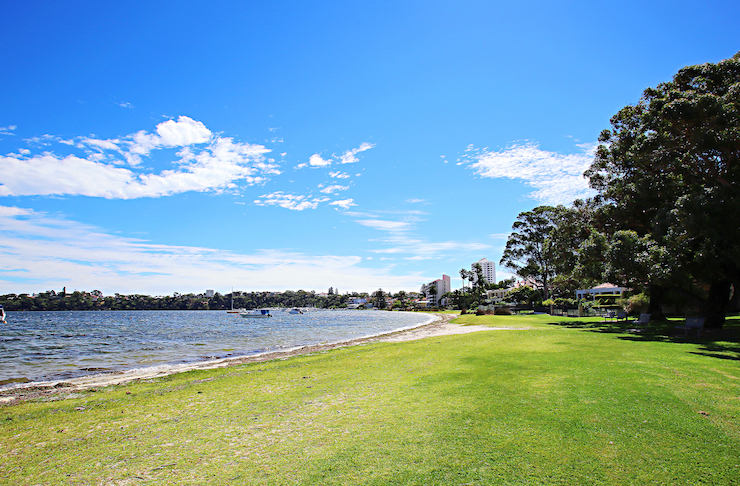 It's no wonder this is one of our fave picnic spots in Perth. Tucked away in Claremont, Mrs Herberts has some pretty impressive views overlooking the Swan River. There’s also a BBQ and a playground if you happen to have kids who need entertaining. If you’re up for a bit of drive and you feel like making a day of your picnic, head to Serpentine Falls. Pack your bathers and have a dip, then tuck into your picnic goodies. If you’re feeling really ambitious you could do the 16.5km Kitty’s Gorge Walk Trail which will definitely help you work up an appetite. While you could picnic at most spots along the coast in Perth, there’s something pretty special about finding a patch of grass atop Cottesloe beach and having a little glass of vino with some cheese while the sun goes down. 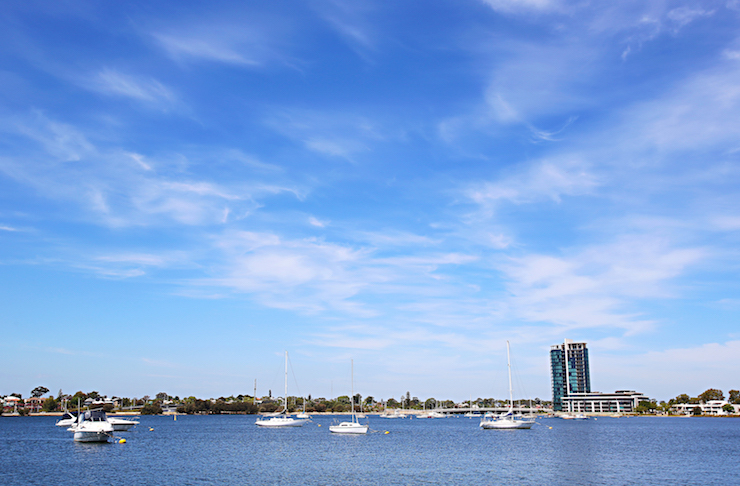 Another suburb, another epic view of the Swan River. Heathcote Reserve is also especially good if you’ve got rugrats to entertain thanks to the playground. But even if you don’t have any kids (and don’t want to spend your day listening to them), walk just a little further and find yourself a sunny spot of grass overlooking the river. About 40 minutes east of Perth, John Forrest National Park is home to a couple of pretty impressive waterfalls and plenty of rock pools. There is the main picnic area with tables and BBQs, but we recommend strolling a little further and finding yourself a secluded spot to really make the most of the park. There’s something about the Matilda Bay foreshore that makes you want to crack open a bottle of Aperol and some prosecco and spritz the afternoon away, or is that just me? In the name of drinking responsibly, you should probably also pack a picnic. Part of the Darling Ranges, Lesmurdie Falls is a pretty speccy spot for a picnic. It’s a short walk to the viewing platform at the top of the falls where you can see all the way out to Rottnest on a clear day (just remember to wear your walking shoes unless you’ve got very rugged feet). Once you’ve had a stroll it’s time to decide where to unpack that picnic. There’s a picnic area with BBQs, but we think you should find a secret spot and really relax for a while. Want to know where to fill your picnic basket with goodies? Check out our roundup of Perth’s Best Gourmet Delis.